TRY TO REMEMBER - THE FANTASTICKS! "Last, but not least, Rita Markova as ‘The Mute’ a.k.a. ‘The Wall’ leant a fun and yet functional element needed for the success of the whole performance." Broadway stars entertained a crowd of more than 600 at a June 1 benefit show at the Katz JCC in Cherry Hill. The show was produced by Ben Lipitz, a Cherry Hill native, former JCC camper and Broadway performer with credits in “The Lion King” and “The Producers.” Other performers included Blaine Krauss, Rita Markova and Jason Veasey. "Still ‘Fantasticks’ After All These Years"
"Rita Markova as Luisa and Drew Seigla had lovely voices and acting. One could see how hard they were working with all of the intricate movements, but it did not show. Some of the most beautiful songs in the show, “Soon it’s Gonna Rain” and “They Were You” displayed wonderful technique and beautiful harmonizing." "Conductor Stephen Charpie directs the Hollywood Concert Orchestra, with soloists Rita Markova, Monique Pelletier, Michael Padgett and Mathew Wages. "The audience will really enjoy the show. It's very entertaining and many popular, recognizable selections are performed." "The acclaimed vocalists are soprano Rita Markova, mezzo-soprano Monique Pelletier, tenor Michael Padgett and bass-baritone Matthew Wages. The orchestra consists of 11 violins, two violas, four cellos, two trumpets, two French horns, two trombones, two percussion instruments, and a double bass, flute, oboe, clarinet, bassoon and keyboards." Rita performs Johanna in Sweeney Todd at Portland Center Stage, casting and show details. Rita Markova gets a commendation for singing some believable life into the character of Johanna, the cloistered daughter stolen by Judge Turpin. Johanna is a difficult role to play because she’s a damsel in distress archetype. Not only does Markova put a lovely sound to every soprano note, but she manages to instill a refreshing sexuality curiosity into the teenage girl. Here’s what I like about going to a Portland Center Stage show: the talent is incredible. When PCS puts on a musical, the singing talent eclipses a lot of the other companies in Portland. Some singers of note were Louis Hobson (Anthony Hope) and Rita Markova (Johanna) as a pair. Hobson and Markova, sang well together… Perhaps it was the earnestness with which both Hobson and Markova did their acting, but all their songs together felt comfortable and strong. As for Johanna, she is a lovely soprano, endearingly ditsy, played by Rita Markova. The tension is thick as we count down the minutes until she can escape. Rita Markova sings beautifully and with nice humor. Gigi Little, Ut omnia bene "A Night With Sweeney Todd", September 24, 2012. The three Hart cousins, who have never met -- machinist Blossom (Lauren Elaine Taylor), con man Harry (Roger Rifkin), and revue singer Chiquita (Valerie Lynn Williams) find out from Lawyer Calhoun (Dan Debenport) that they have inherited property in Texas. However, the place is a wreck. They decide to convert it into a hotel for the wives and girl friends (Merissa Czyz, Daniella Dalli, Savannah Frazier, Amy Grass, Rita Markova) of the soldiers at the Army base next door. 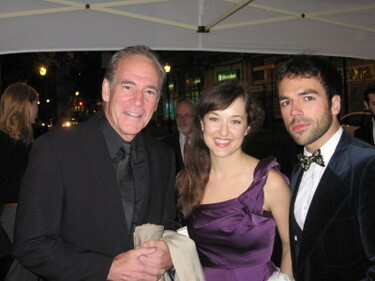 Rita is nominated for the 2010 BroadwayWorld Philadelphia Awards for her role as Tzeitel in Fiddler on the Roof at the Walnut Street Theatre. "Tzeitel- a wonderful role played with great empathy by Rita Markova"
"Tzeitel and shtetl -- perfect together?... In a way, Tzeitel of Anatevka is an avatar for the actress, herself Ukraine-born... Which is also a pretty good description of how the actress with a number of off-Broadway and regional credits feels about standing on stage here as Tzeitel, a role seemingly tailored to her talents." Tzeitel and shtetl -- perfect together? On the one hand, the role of eldest daughter has done pretty well by a number of actresses -- Bette Midler, Sharon Lawrence -- in the 46 years since the original of "Fiddler on the Roof" first scratched out its timeless tune. On the other hand ... there is no other hand. And Rita Markova can only hope the tradition continues. In a way, Tzeitel of Anatevka is an avatar for the actress, herself Ukraine-born and her family facing the anti-Semitic programs if not pogroms met head-on by Tevye's most-eligible darling daughter. Coincidence, sounds crazy no? Nyet: Conditions for Jews -- whether those faced by Tzeitel in the early 1900s of ambushed Anatevka or late 1900s by Markova's family -- have long been problematic, whether it be tzarist Russia or sorrowful Russia, acknowledges the actress as she prepares to step on stage at the Walnut Street Theatre, where "Fiddler" just opened for a long run. Not that Markova remembers the problems personally. "I was very little," she says of her arrival in this country with her family in 1989, accompanying her parents and the maternal side of the family; the paternal side arrived five years later. But she does know that that universal dread that comes with being scapegoated extended to the universities. "There was more anti-Semitism in the Ukraine than in, let's say, Moscow," she notes. "Getting into universities for my father was hard when they found out he was Jewish. So it was a matter of 'Let's go to a less anti-Semitic city' to go to school." Miracle of miracles -- they all got out. Which is also a pretty good description of how the actress with a number of off-Broadway and regional credits feels about standing on stage here as Tzeitel, a role seemingly tailored to her talents. (It doesn't hurt that Tzeitel marries Motel the tailor by musical's end). The actress who once starred in "Homer's Odyssey" feels her stage sojourn has hit home with this production. "This part has always been at the top of my list," claims Markova. "Especially after playing a cat ('Cats') and a nun ('Nunsense'). It's nice to play a Russian Jewish person." Such a match! "I could say that the anti-Semitism Tzeitel and her family face is not relevant these days, but, unfortunately, I can't. It is very relevant today." While she revels in her role, it is not one Markova always knew about. "I didn't know 'Fiddler' existed before we moved," since the Sholom Aleichem tale wasn't exactly mandatory reading in Russia. But, the music of the nyet eventually became familiar to her. "I did see the  movie and my mom plays the piano and would play the music from the show as I sang along." Is this the little girl who carried the tune? Yes, and, of course, she notes, her brother wasn't immune. "At my brother's wedding, they played 'Sunrise, Sunset.' "
If the accent is on memories, it was also on helpfulness during rehearsal: "Since I speak Russian, director Bruce Lumpkin asked me for proper diction" for the other characters as well. And as she leaves Anatevka every night for her post-performance digs in Philadelphia, well, Markova's not exactly far from the home she loves; Philadelphia is actually her city of brotherly love. "My brother and his wife now live here," she notes. And in a way, "Fiddler" lives in the hearts of the entire Markova family. In her Playbill bio, Rita dedicates the performance "in loving memory to Grandmother Mina." And she thinks of the role she has played in the family's dedication to survival, "going from the camps" -- her great-great grandparents died in the Holocaust -- "to my being able to be in this show today." But for emotional impact, it was hard to beat the show's finale when scores of cast members from shows currently on Broadway marched down the aisles and onto the stage while singing "Sunday," the affecting closing number from "Sunday in the Park With George." Prospect Theater Company has announced casting for the New York premiere of The Hidden Sky, a new musical based on the Ursula K. Le Guin short story "The Masters." The show features music and lyrics by Peter Foley and book by Kate Chisholm, who also directs. It will be presented at the West End Theatre, January 30 - February 28. As the show begins, an apocalypse, brought on by the misuse of technology, has ravaged the earth. The musical follows Ganil, a young woman whose longing for knowledge leads her on a passionate journey of discovery. Victoria Huston-Elem will star as Ganil, with Mark Mozingo as Lani, Gordon Stanley as Lee, Ben Gunderson as Mede, and Joy Lynn Matthews as Yin. Also in the ensemble are Jane R. Bunting, Jose Candelaria, Robbie Fowler, Nadine Malouf, Jesse Manocherian, Rita Markova, Hannah Jane McMurray, and Lawrence E. Street. The production team will include Darren Lee (choreography), Remy Kurs (music direction and orchestrations), Jon Russ (additional orchestrations), Sarah Pearline (set), Sidney Shannon (costumes), Jorge Arroyo (lighting), and Asa Wember (sound). In conjunction with the Saturday, February 20 performance, Prospect will host an afternoon symposium featuring scholars and artists, including the show's creators, in discussion about the relationship between mathematics and music, the historical conflict between science and religion, and other ideas explored in The Hidden Sky. Admission to this special event, to begin at 1pm at the West End Theatre, is free; reservations are encouraged by emailing rsvp@ProspectTheater.org. For more information, visit www.ProspectTheater.org. After a decade spent fighting in Troy, the mythical hero Odysseus faces ten more years of peril and privation before he can reunite with those he loves. 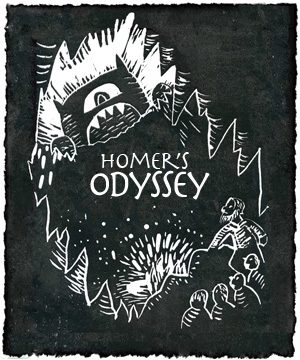 Building on Simon Armitage’s masterful and accessible treatment of the ancient epic, Handcart Ensemble’s production will incorporate acrobatics, shadow puppetry, and other uniquely theatrical means to summon Homer’s tale of the human heart and its capacity to endure all for the sake of family and homeland. Originally performed for BBC Radio in 2004, this adaptation by one of the world’s greatest living poets appears onstage for the first time. The musical adaptation of the Jane Austen novel is directed by Mary Catherine Burke with musical direction by Matt Castle (Company). The presentation is at the McGinn Cazale at 2162 Broadway (at 76th Street) 4th Floor. Tickets are free but reservations must be made in advance. For tickets and more information, industry members may call Lawrence Rush at (917) 697-7673 or email prideandprejudicereading@gmail.com. Featured in the cast are Jessica Rush (Gypsy, A Tale of Two Cities, Cinderella), Ron Bohmer (The Scarlet Pimpernel, The Woman in White, Sunset Blvd. ), Nora Mae Lyng (Les Miserables, Amour, Cabaret), Gordon Stanley (Beauty and the Beast, Joseph...Dreamcoat, Ragtime), Allison Spratt (Enter Laughing, Cry Baby, Good Vibrations), Billy Wheelan (The Road to Ruin, Our Leading Lady, It's a Hit! ), Lucy Sorensen (Sarah, Plain and Tall, Sympathy Jones, The Tutor), Brian Norris (Forever Plaid), Gretchen Goldsworthy (Cats, Beehive), Catherine Carpenter Cox (Evita, Hello, Dolly, The Who's Tommy), Rita Markova (Guys and Dolls, West Side Story, Into the Woods), Susan Lewis (Cats, Swingtime Canteen, The Producers), Adam Halpin (Glory Days, Forever Plaid), Joan Porter (Murderers), Bill Bateman (Gypsy, Peter Pan), Doug Shapiro (Talk of the Town, Iron Curtain, The The High Life), Amanda Johnson (Sweeney Todd, Annie), Mary Workman (The Guest Lecturer, Assassins, My Fair Lady), Matthew Deming (The Visit). It's the two leading dolls who fill <the show> with feeling — as well as push the plot. Armed with an angelic voice, Markova adds a third dimension to what could be a simple goody-goody character. "As far as Ms. Markova is concerned, well, I can't do much more than sigh at her exquisite beauty and admire the iridescence of her lovely voice. She is lovely and she has amazing skills. As I mention in my review, she breathes life into a potential two-dimensional role in "Guys and Dolls." In the Havana scene, it isn't all about Sky for her. Her increasing abandon isn't just a loss of inhibitions, it's a rediscovery of vitality, a sense of relief as she sheds the burden of her mission-related anxieties. She comes to life in that scene and she brightens up the stage when she does. Someone like Ms. Markova could land a role on Broadway or on a soap or even in movies." 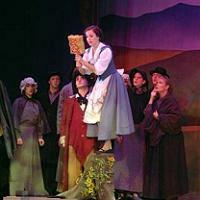 'Into the Woods' plays well for Barksdale group. Rita Markova is a standout as the always loveable Cinderella. Her voice is heavenly – light and easy – one that you could listen to for hours on end. Wishes come true in Barksdale’s “Into the Woods” — but is that a good thing? Rita Markova’s Cinderella is as sweet of disposition and pure of voice as any princess could hope to be. Dewy-eyed Rita Markova plays just the sweetest Cinderella around. "I could have watched Rita Markova all night; she is just lovely and extremely talented. I guess I have a thing about beautiful brunettes with knock-out voices." Rita Markova is absolutely magnificent as Cinderella. She's beautiful, and acts and moves with intelligence and assurance. But it's her voice, an exceptional lyric soprano, that simply knocks me off my feet. Robin Arthur, who directed "Into the Woods" for Barksdale, raves about the assets Markova brings to the show. "She's beautiful; she has a glorious vocal quality that suits the music -- but beyond that, she brings such a wonderful character to Cinderella," creating a heroine who's "determined, warm, funny and immediately likeable," she said. Sondheim’s songs get solid treatment here, but the show-stopping voice of the evening belongs to Rita Markova as Cinderella. Hers is an "innocent beauty" appeal and she has a voice to match. The classic beauty and voice of Belle are brought to life by Rita Markova, an actress who could as easily play Snow White, Cinderella, or any of the other Disney heroines distinguished for their purity and grace. Markova sings several songs in her clear and melodious voice. 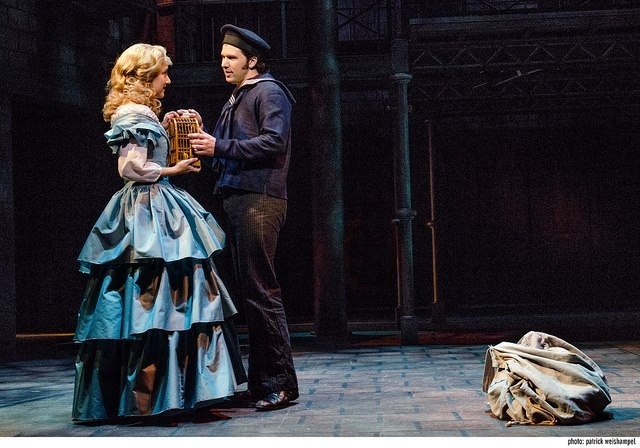 The emotion and positive attitude shown in her singing is a highlight of the play. Perhaps the funniest scene in the show was an operatic contest, "Italian Aria," parodying the competition between leading sopranos and tenors. 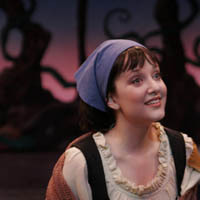 Rita Markova as Griddlebone and B.J. Scahill as Growltiger fought vocally and delightfully over the spotlight as they were supposed to be playing lovers. They both sing beautifully. Arts Center of Coastal Carolina to open season with "West Side Story"
For a dark-haired ingénue, landing the role of Maria in West Side Story undoubtedly qualifies as a career high point. One of 30 actresses to go out for the part of Maria, Markova blew away director Casey Colgan at the New York auditions for the show. "She was the first person to audition for the role and she set the bar for everyone else who walked in," said Colgan, who has directed numerous Arts Center musicals, including this summer's hit, Beehive. "She's a stunning young woman with an amazing voice."